Sponsor this new and exciting Food Festival. Gain excellent exposure and raise the profile of your business to a large audience of affluent consumers from Bradford on Avon, its surrounds and from further afield.. Cold Pressed Extra Virgin Rapeseed Oil Rapeseed oil has grown dramatically in popularity over the last few years, topping the leader board as the healthier choice for cooking. It has the lowest saturated fat content of any culinary oil half that of olive oil a great health benefit considering current advice confirms a diet high in saturated fat is linked to poorer heart health. It has less monounsaturated fat, but more polyunsaturated fat, which helps to lower LDL cholesterol. It's also rich in Vitamin E and omega 3, 6 and 9 fatty acids. Rapeseed oil is stable at high temperatures which makes it a good choice for frying and roasting and it's also a great substitute for butter in baking, reducing the saturated fat content of some family favourite cakes by over 50%. It's produced from the bright yellow Rapeseed crop that we see in fields all over the UK during the summer months and is recommended that our choice is cold pressed, but why? 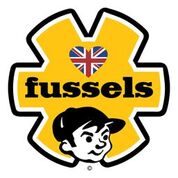 Fussels Fine Foods has been producing single cold pressed rapeseed oil for the last 10 years from their third generation farm in Rode, Somerset. With a family passion for farming and good quality British food, Andy Fussell and his team grow, harvest and press Rapeseed to arrive at a carefully crafted, healthy oil that is highly versatile and incredibly delicious. 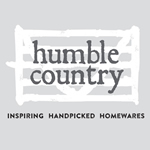 Humble Country is a unique collection of inspirational homeware exhibitors curated by our team and brought together for like-minded shoppers to discover and indulge in at a series of fayres. Need a bar? 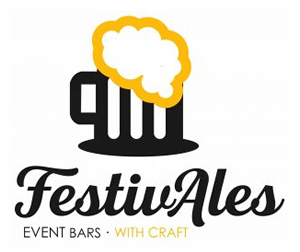 We run amazing event bars for festivals, events and private parties. Whether you need a festival bar, multiple festival bars, a beer festival or an amazing wedding bar we will craft the perfect solution for you. 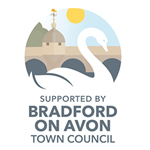 Grist Environmental have partnered with Scrumptious Food Festivals and will be collecting and recycling the waste generated at Bradford on Avon Food Festival. Grist Environmental is a family owned Company with over 40 years experience in supplying professional waste collection and recycling services to commercial and private customers across the United Kingdom. The strong family work ethic complements the businesses core strategy of ‘enhancing and improving sustainability’ and our mission is to help protect resources for future generations through promoting responsible waste management and carbon awareness. With this as a primary objective we have achieved ‘zero waste to landfill’ through recycling and landfill diversion. During the festival our distinctive blue wheelie bins will provide a convenient and safe method for disposing of general and recyclable waste, helping to contain and protect the material from the inclement British weather. Please put waste material into these bins and Grist Environmental will do the rest. 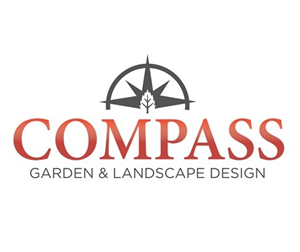 We can help you transform your garden into the space you’ve always wanted. 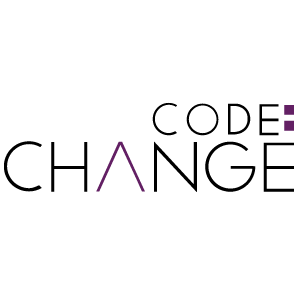 We will work with you through the whole process, from imagining concepts to the final build. Garden Designer Tom Murphy is based in Bradford on Avon and has worked on design projects throughout the South of England. Perhaps more the ingredients for a game of Cluedo, but that’s how the business was born. It all came about when founder Stephen realised wine and beer no longer agreed with him. A keen maker of sloe liqueurs and other concoctions, he turned his attention to gin and started experimenting at home, mashing assorted fruits with different spirit strengths. G&J, one of the country’s oldest distillers, was recruited to the cause. They produce the core spirit with five botanicals to our original recipe which we painstakingly developed over several years. 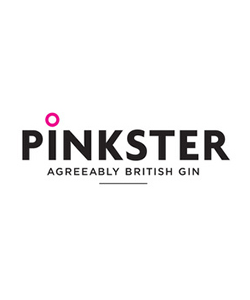 We then macerate with a further three botanicals, including fresh, plump raspberries grown nearby our rural base outside Cambridge, to produce the finished gin that is Pinkster. After positive feedback from tastings at events and food fairs, Stephen took the plunge, quitting his job as a bean counter and ending his London commute, whilst reassuring his long-suffering wife that it would all come good in the end. Over the intervening years, thirst for Pinkster has grown and from humble beginnings we’re now proud to be stocked by the likes of Majestic Wine, Marks and Spencer, Harvey Nichols, and Selfridges as well as dozens of farm shops and food halls across the country. Stephen still personally oversees the production, ensuring consistency from batch to batch of fresh fruit. Luscious was founded with a mission to create not only a delicious, award-winning product but also a sustainable brand and business. With respective backgrounds in organic farming and design-led branding & marketing, the two founders of Luscious® ice cream have created an award-winning range of Soil Association certified organic ice cream and fresh chilled custard. Based in The Organic Dairy on the Neston Estate in Wiltshire, just 6 miles from beautiful Bath and 5 miles from lovely Bradford on Avon; they make irresistible all-natural flavours using the very best ingredients. The Jersey milk is collected every day on the farm and the eggs and cream are also locally sourced. From heavenly Madagascan Vanilla to finest chocolate and roasted Sicilian hazelnuts, all other ingredients are carefully sourced from organic certified suppliers. The farm is high-welfare and is a haven for wildlife, with a wide biodiversity. It uses solar energy and its own water source, as well as innovative hi-tech methods to ensure use of antibiotics is kept right down and that herbal remedies can be utilised for the animals wherever possible. Luscious is the proud winner of the 2018 coveted Crumbs Award for Best Food Producer. They also have a 2018 Gold Taste of The West Award for their chocolate hazelnut ice cream and are currently shortlisted for Best Food Producer in the Wiltshire Life Awards. 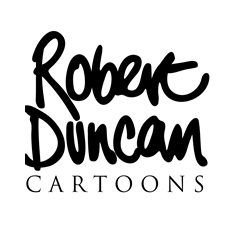 Robert Duncan is cartoonist, painter and occasional writer. He spends his time going to conferences and producing about 25 wise and witty mono gags per day for adoring clients. He also makes speed draw films where his hand is the star - these are currently all over YouTube. Among his many attempts to write bestsellers, Once Upon A World stands out - a bedtime book of Bible stories with many cartoon illustrations. Later recorded by John LeMeasurier, re-mastered CDs are available from Amazon. His comedy play Cluedo toured the country to great effect and still holds the all-time box office record at the Theatre Royal Windsor. He has designed over 2500 greeting cards, notably the world bestselling Not Particularly Orange range. His animated four minute movie based on Edward Lear's The Jumblies has won awards for Best Animation In Austria, Colorado USA, St.Petersburg, and the IAC Film and Video Institute. See it on YouTube. In 2019 we celebrate nine years in business! In that time we’ve dealt with nearly 900 properties & won two awards for Best Estate Agent in town voted for by the public –We must be getting something right! We specialise in personal estate agency services from our picture-perfect office in central Bradford-on-Avon. "Service" is a tiresome term, we simply do our very best to make our customers happy. We work with confidence, infectious enthusiasm, experience, proven skills, a smile & a sense of humour (essential). Whilst there is no "hard sell" we are perfectly capable of dealing effectively with tough situations or delivering a message with straight talk. When you decide to sell your home simply telephone or pop in for a chat. We’d be delighted to hear from you. Our advice is free and utterly confidential.